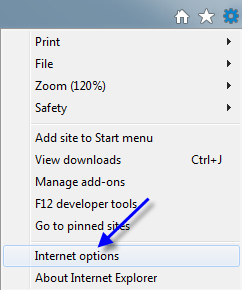 To turn on and off the pop-up blocker on Internet Explorer 10 click the gear icon in the upper right hand corner of the web browser. Select Internet Options in the drop down menu. Find the Pop-up Blocker section in the menu. 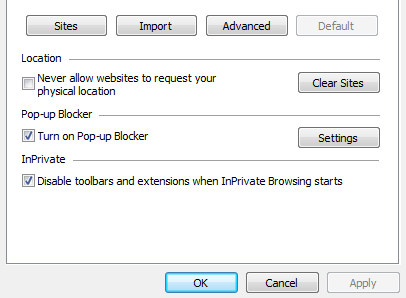 If the checkbox for Turn on Pop-up Blocker is checked the Pop-up blocker is turned on. If the box is unchecked the pop-up blocker is off.